Have you tried our Smoothies? 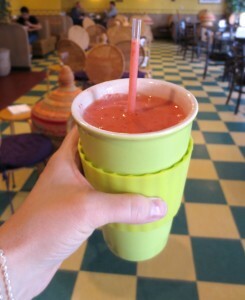 If you haven’t tried our smoothies, you are missing out! They are made of fresh and frozen fruit, with a little honey (optional). These smoothies have no ice, no milk, just good fruit. If you haven’t tried one before, come over and try one soon!